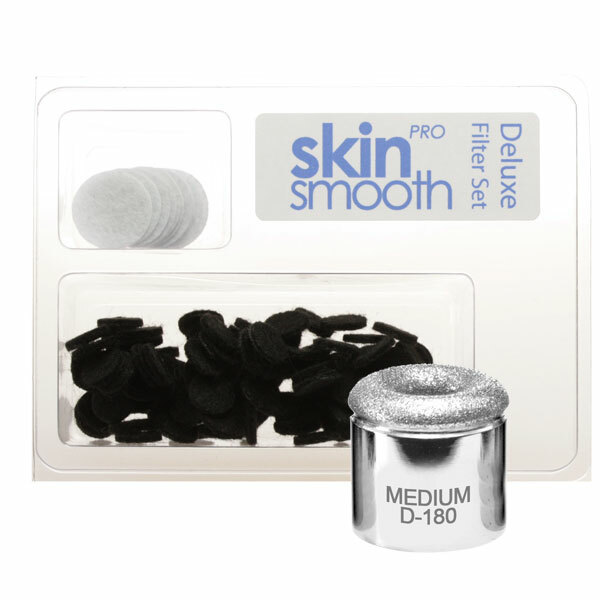 The Skin Smooth PRO Deluxe Filter Set Plus Medium Tip comes with 100 black one-time use disposable tip filters, 10 secondary filters for the vacuum intake on your microdermabrasion unit, and a new tip. The black tip filters are thick, easy to separate, and show dead skin cells that have been removed more distinctly than white filters. They make for a dramatic post treatment presentation to your clients. By changing the larger secondary filters after 10 treatments you will insure long life and top performance from your Skin Smooth PRO diamond microdermabrasion unit.